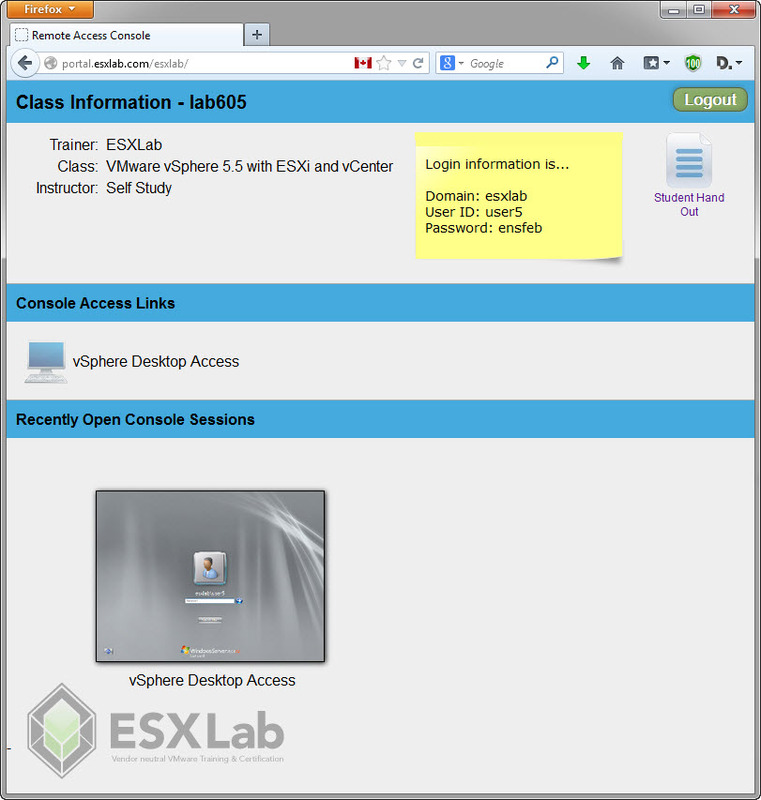 ESXLab remote access labs are accessible using standard web ports through our Lab Access Web Portal. 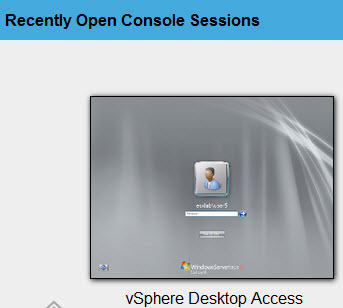 Instructors can perform full session shadowing and interaction on all student remote Lab Access VMs. Instructors and students can share the student's session. Instructors can take over a remote session and guide students through problems. This document provide guidance and suggestions for performing a pre-class server pod connectivity test and also for resolving server pod connectivity problems. Student and instructor PCs must support 1280x1024 or higher native resolution video. Retina displays, 1080p displays or 1600x1050 resolution displays are encouraged. Critical - You must have a reliable Internet connection. This means speeds of 2mb/s (up and down) or better with low latency and very low packet loss. 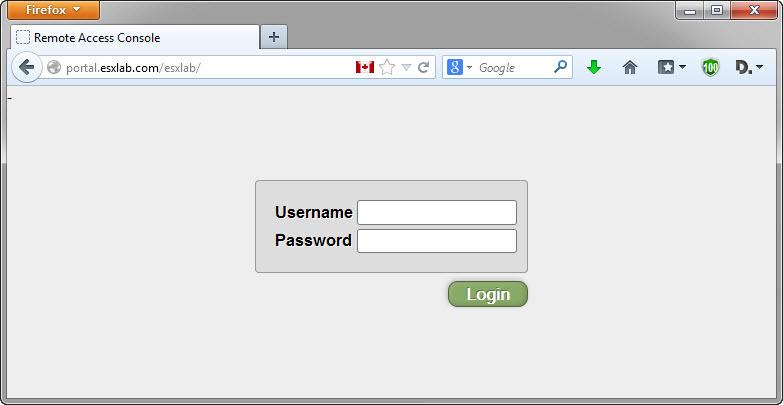 Enter your Login name and Password (from above) and click Login. This has useful information about your labs (lab access credentials, etc.). If you are logging in with Instructor credentials, you will see remote session links for all of the students in your class. Click any student icon to shadow or interact with the student's session. Just be warned, they will see what you do just as you can see what they are doing! We encourage customers to run the above tests at the earliest possible opportunity and to correct any deficiencies discovered. A failure to complete these tests could result in an inability to connect to our remote access labs at the start of your class. We will not be held responsible for such problems. Please report your results back to your partner at the earliest opportunity. They, in turn, will inform us that you are ready to go.